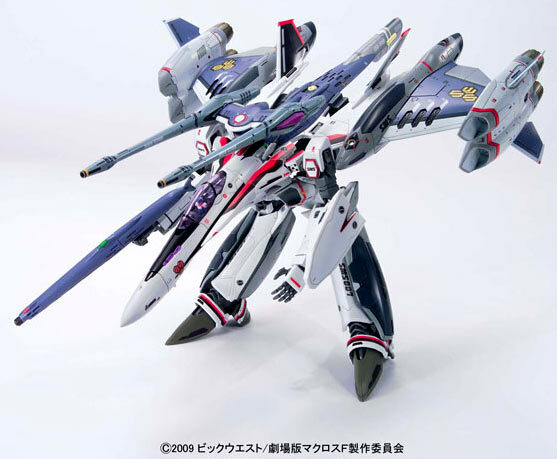 VF-25F Tornado Messiah of Alto Saotome that came out in the Macross Frontier Movie : Itsuwari no Utahime (the false songstress). 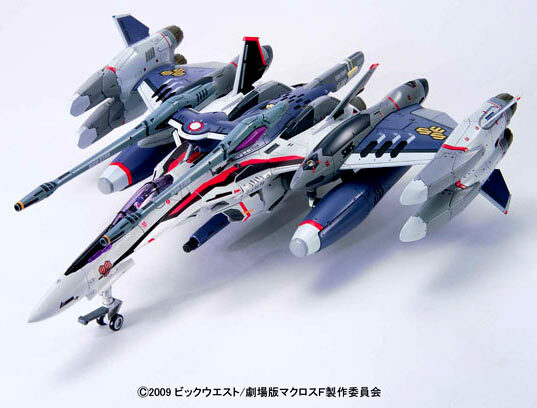 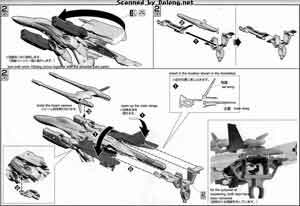 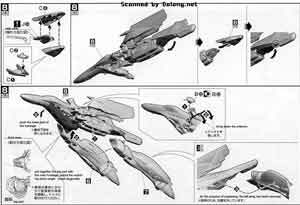 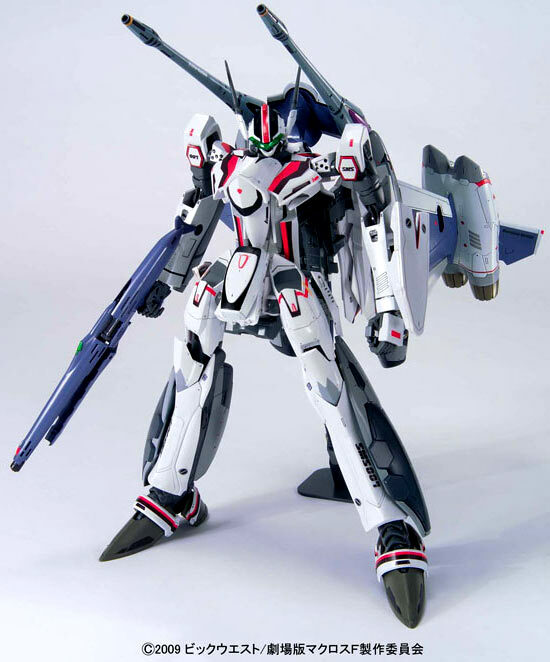 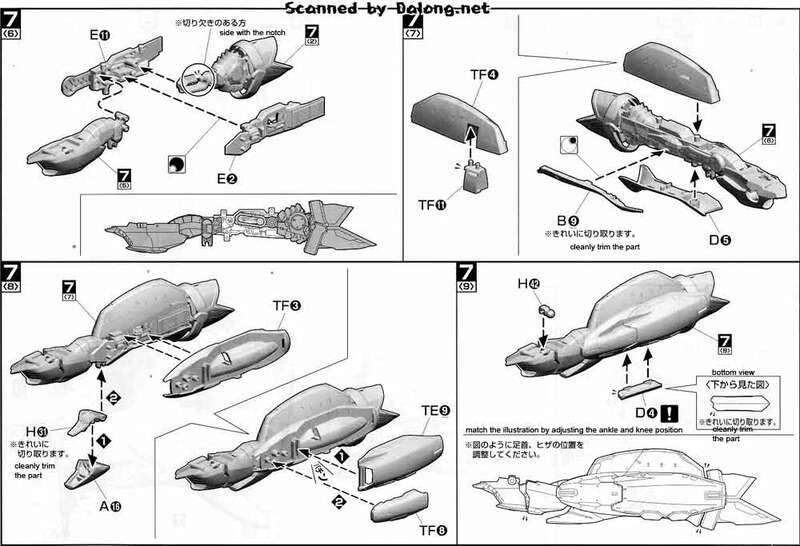 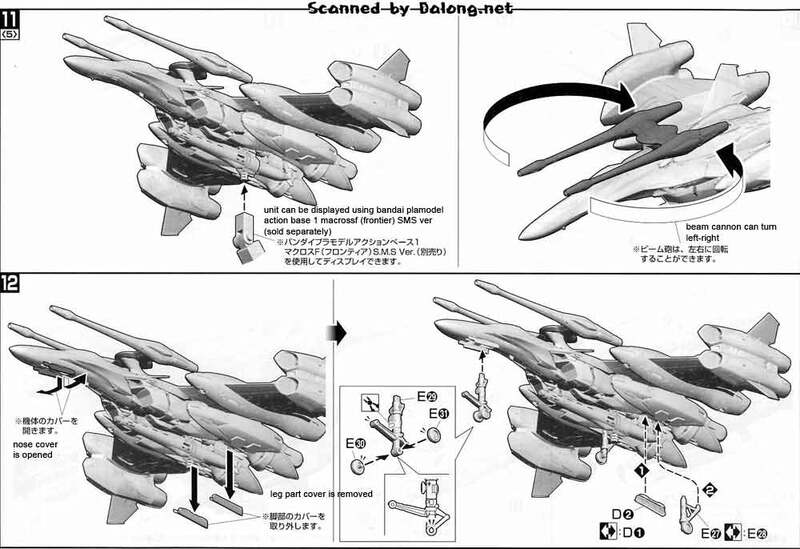 This was made into a 1/72 model kit by Bandai for their Macross Frontier line of model kits. 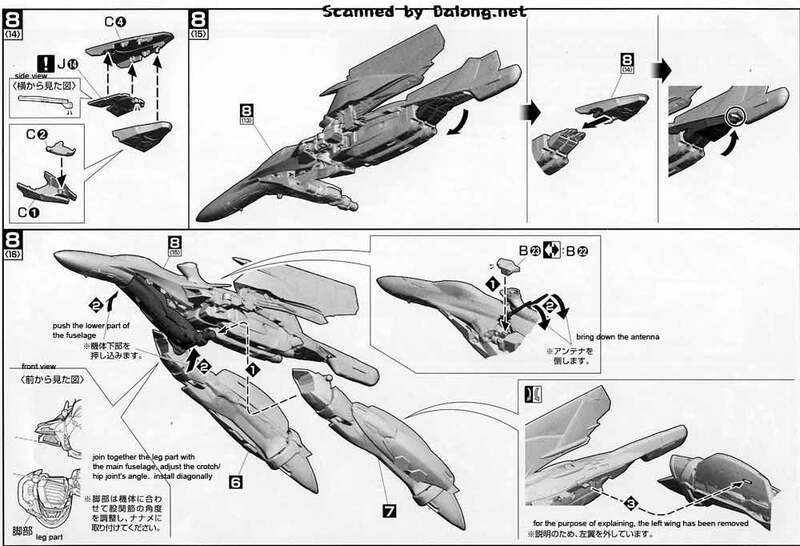 The great thing about the 1/72 Macross Frontier model kits of Bandai is that it can transform to the 3 mecha modes that the Macross Frontier mecha's are known for. 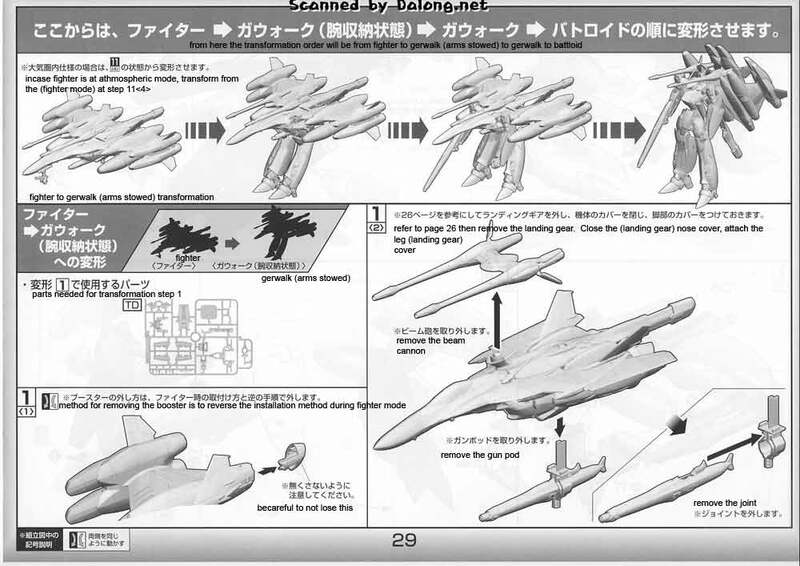 The 3 modes are fighter mode, gerwalk and battloid. 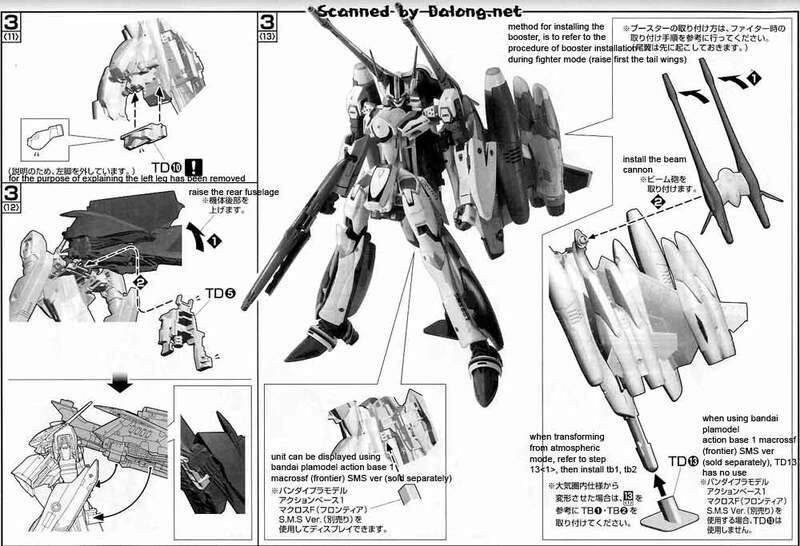 Personally though I'm not too fond of the design of the Tornado Messiah. Its really just the Beam Cannon's that turn me off. What drew me to the Macross franchise (aside from the great story) was the unique mecha designs of series creator Shoji Kawamori that were made realistically to match actual flight physics. 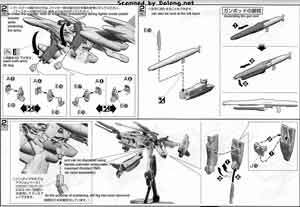 So having some awkward looking long-barreled cannon's mounted on the Valkyrie strays from this successful series formula. 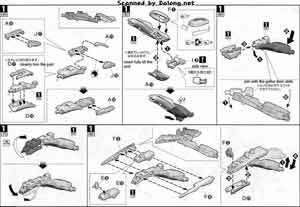 But then again, that's just me. 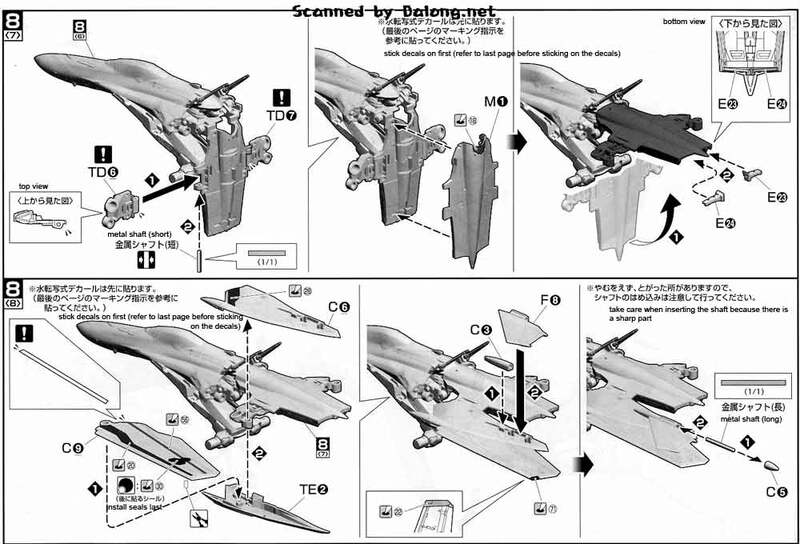 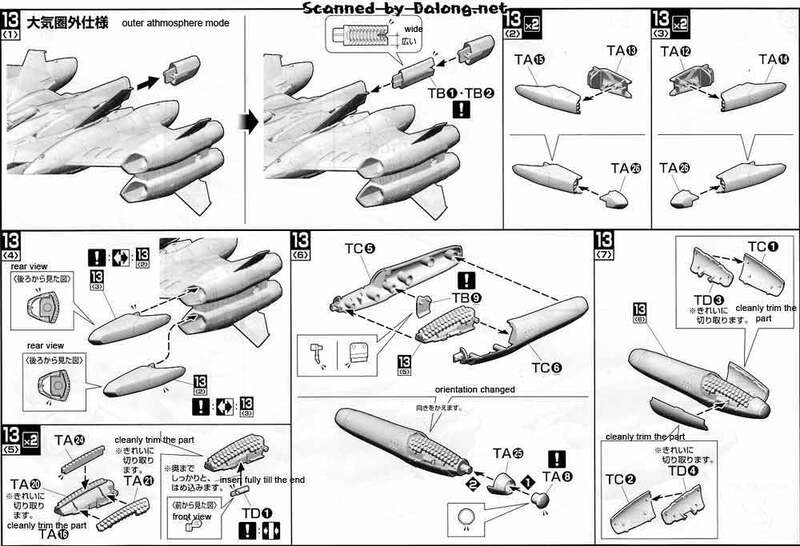 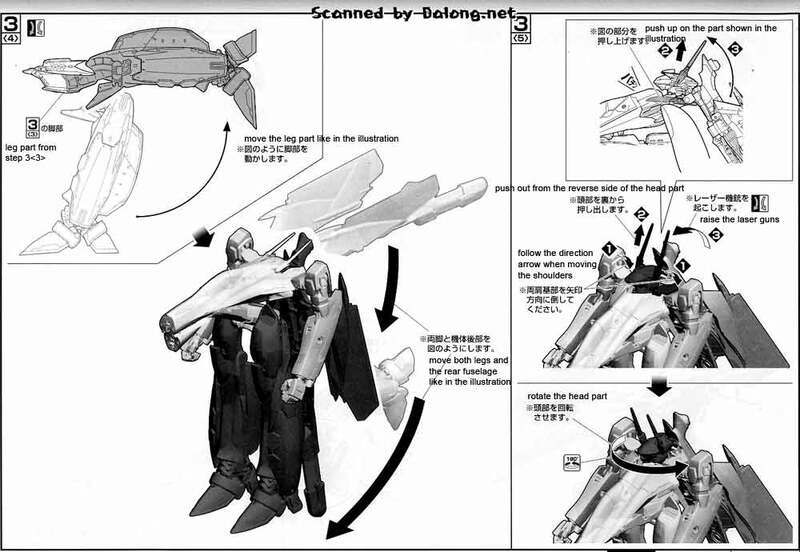 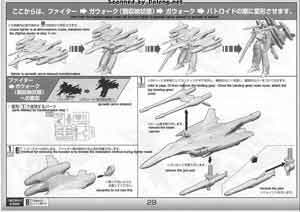 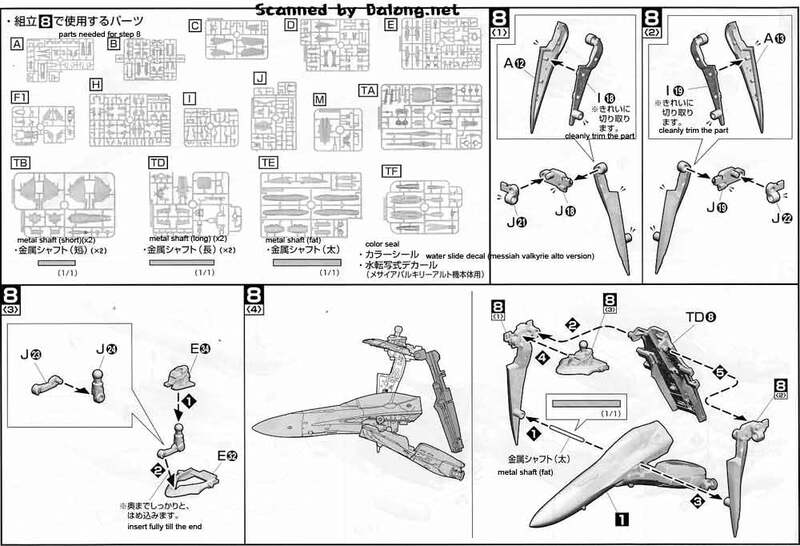 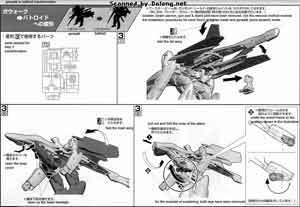 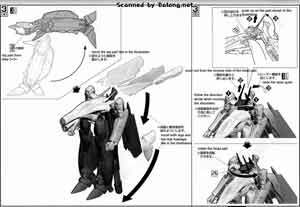 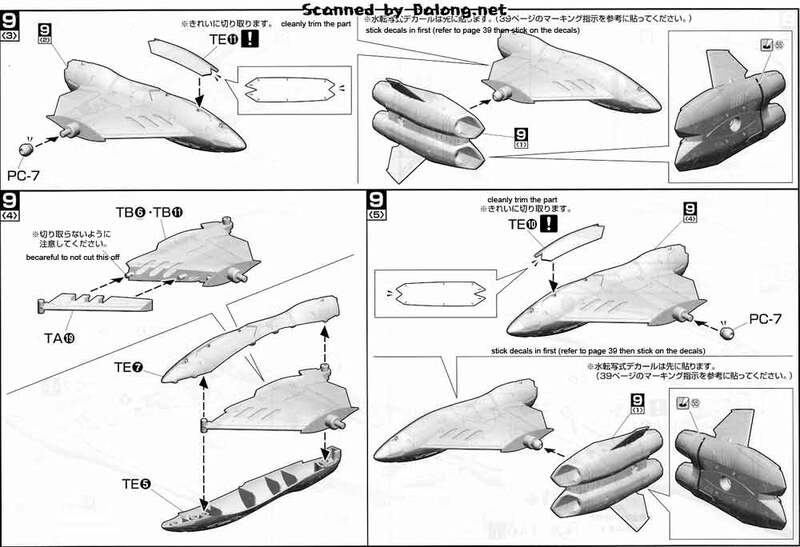 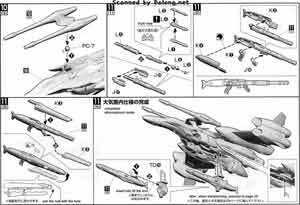 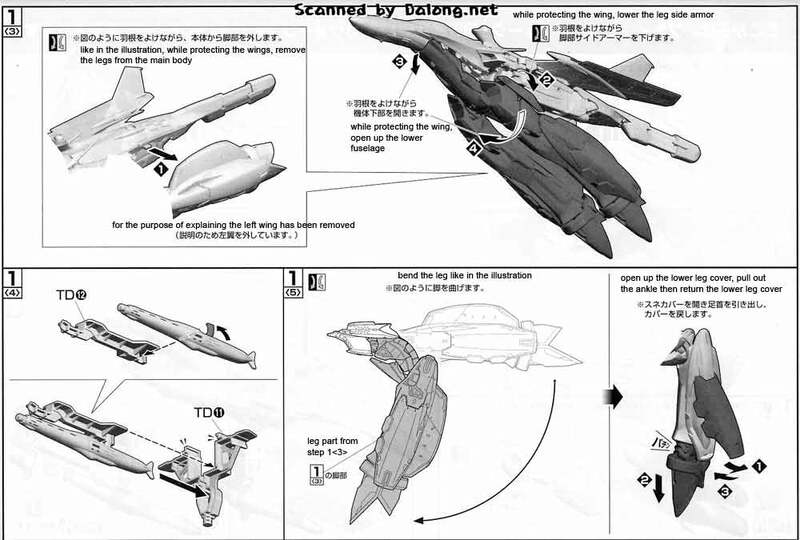 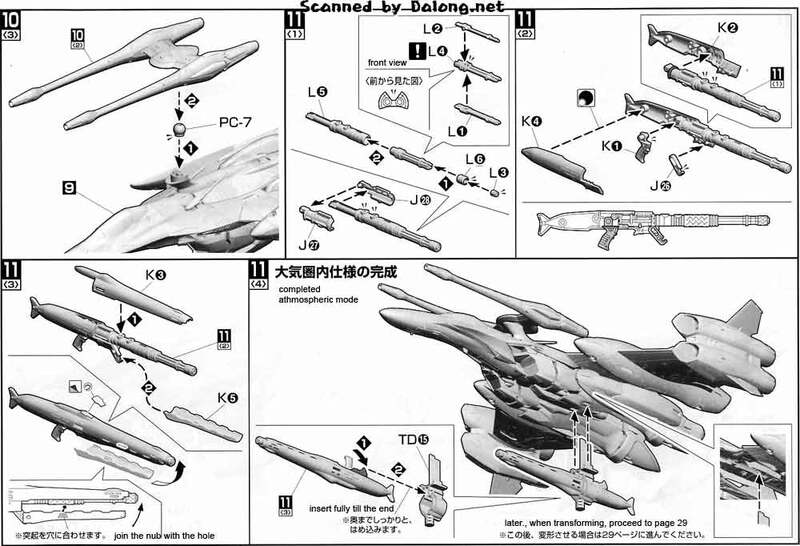 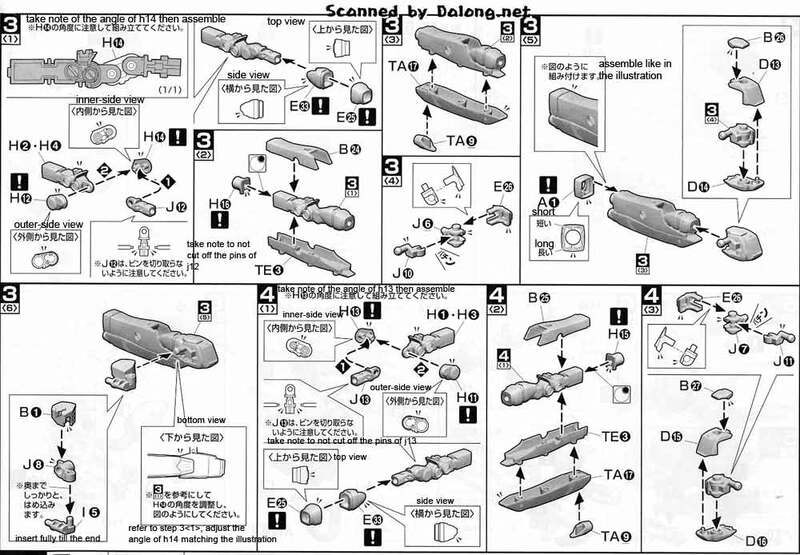 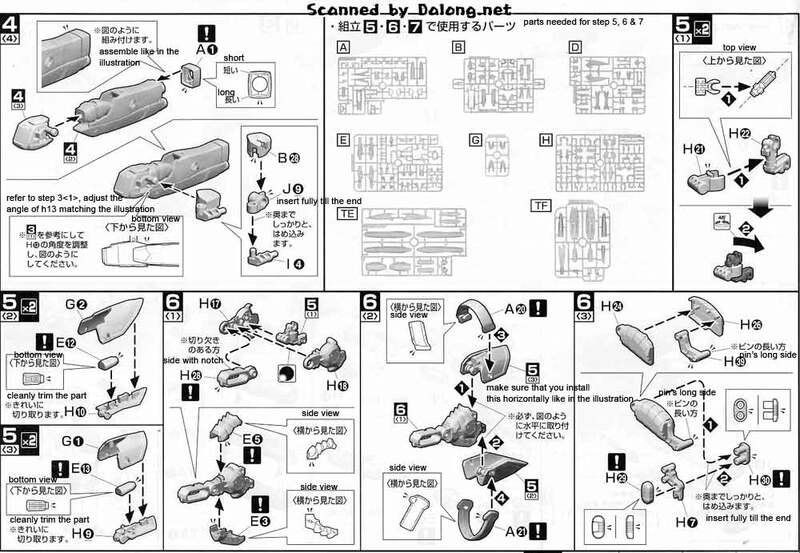 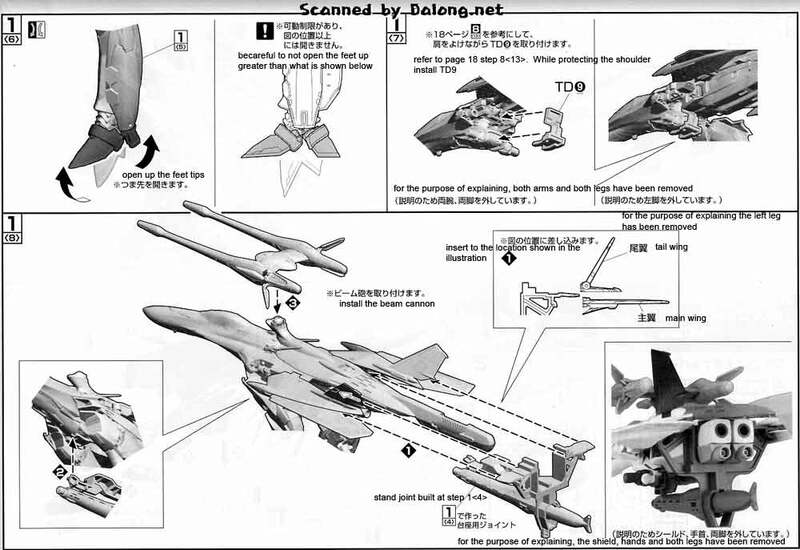 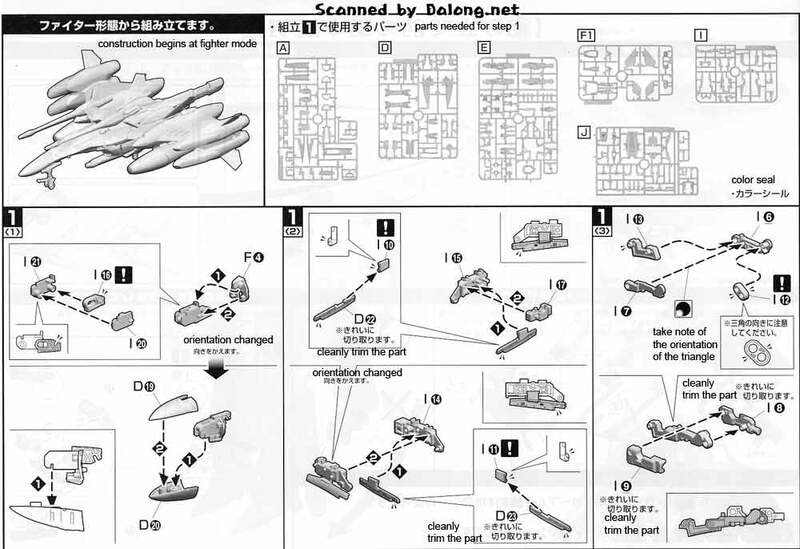 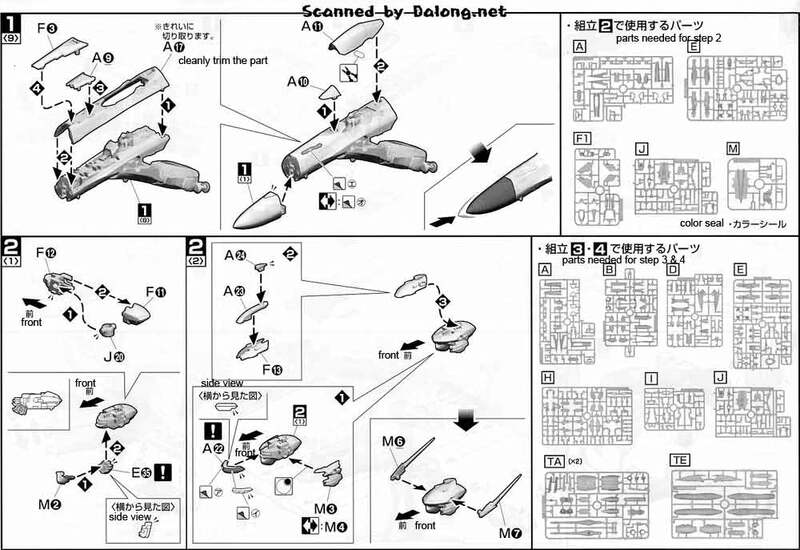 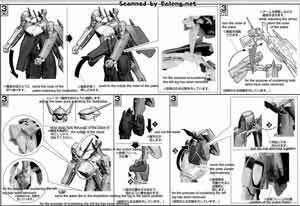 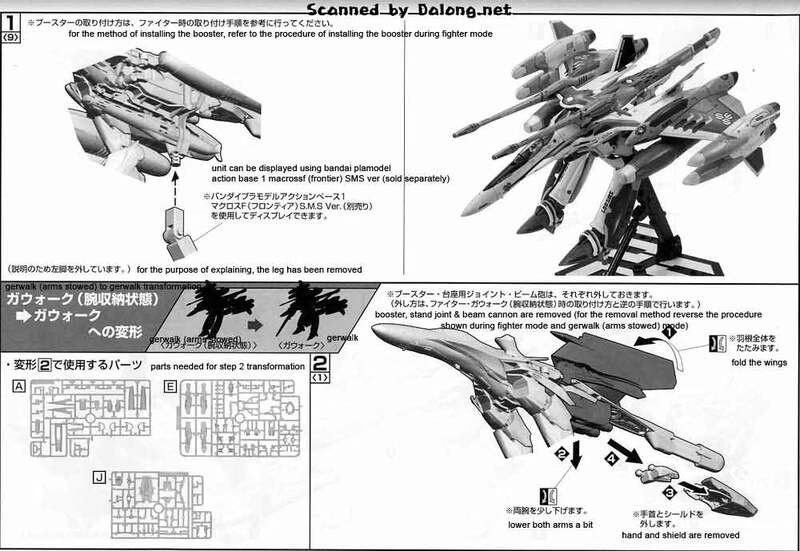 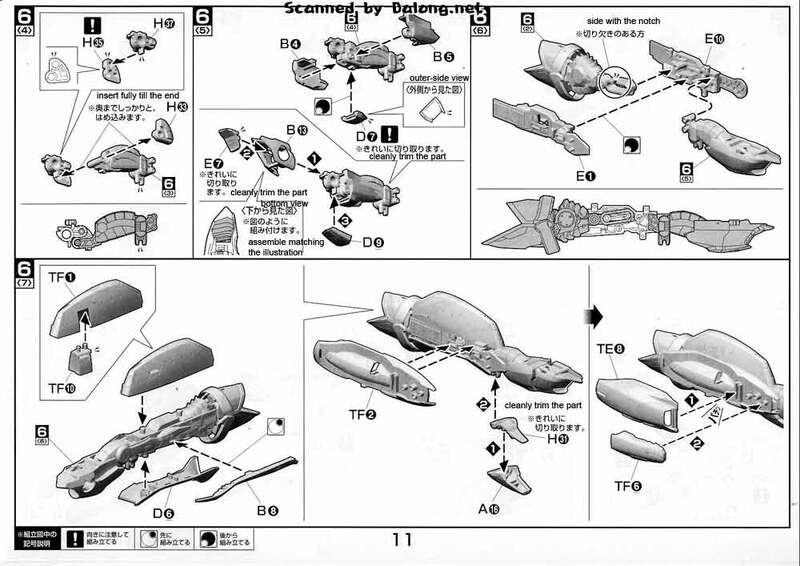 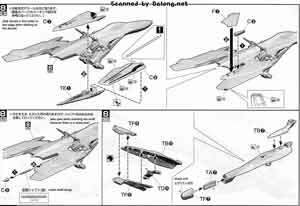 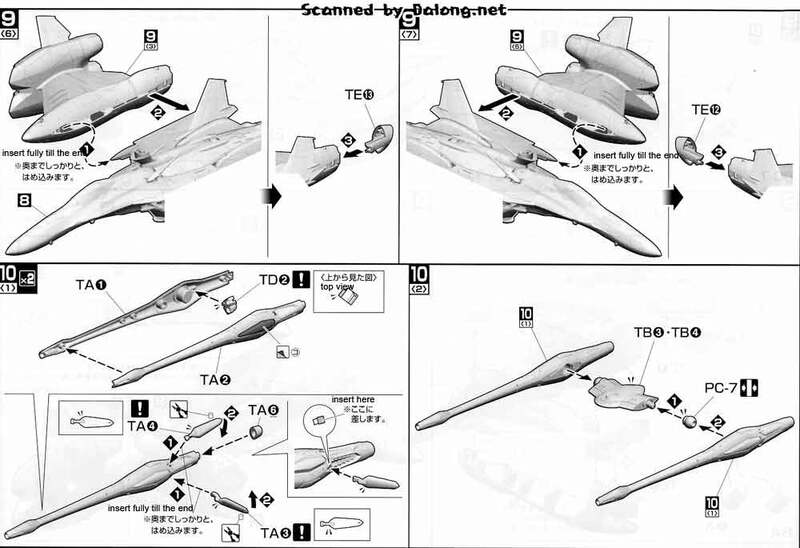 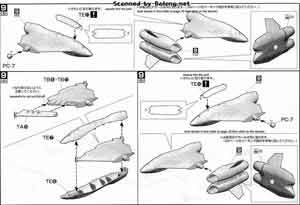 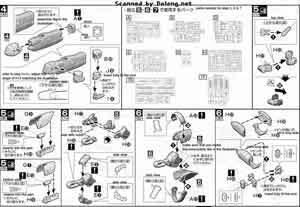 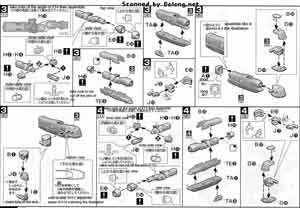 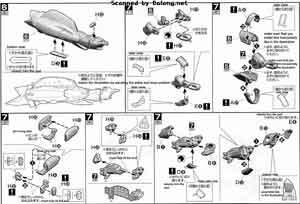 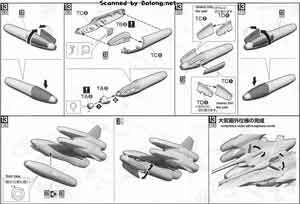 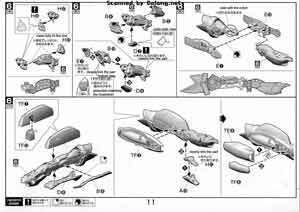 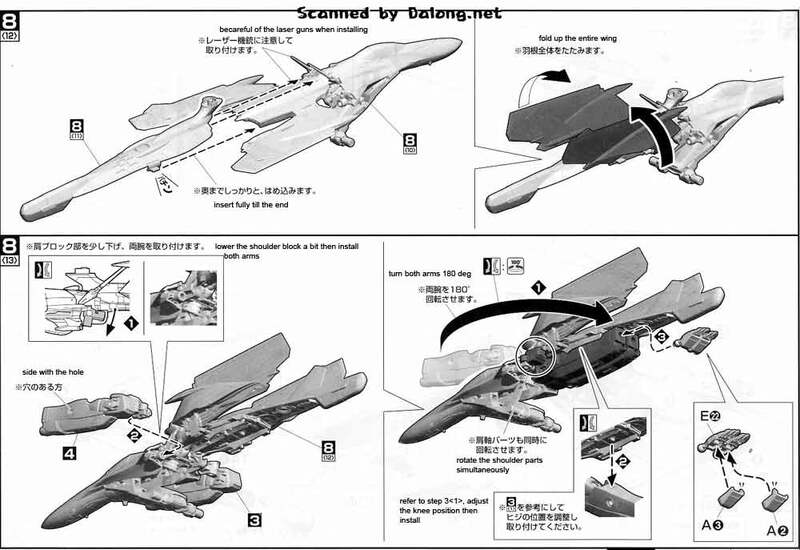 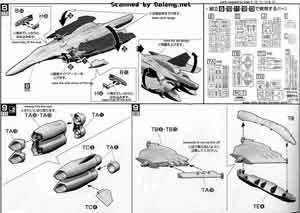 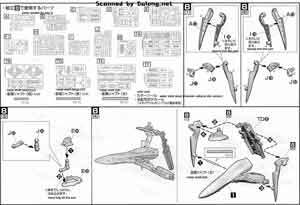 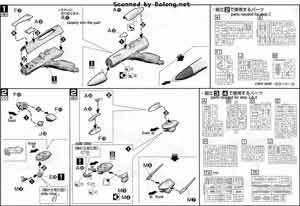 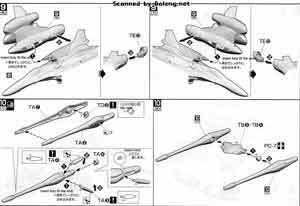 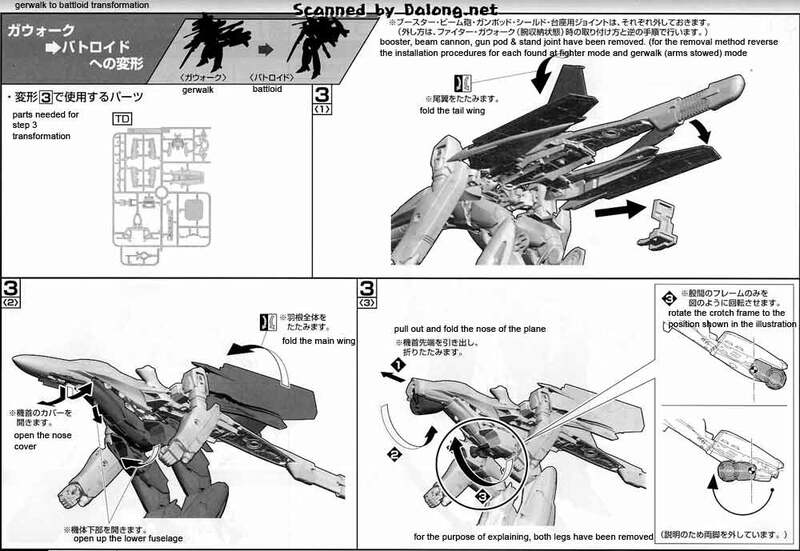 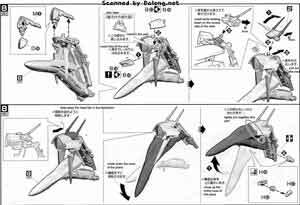 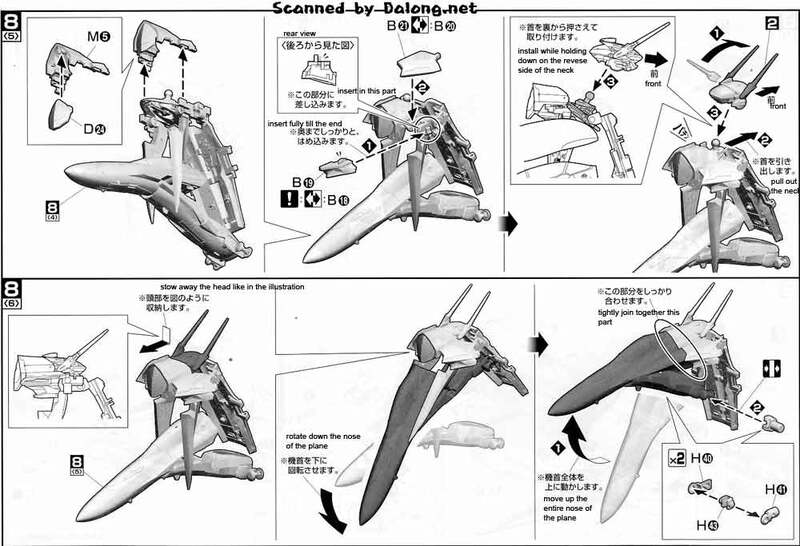 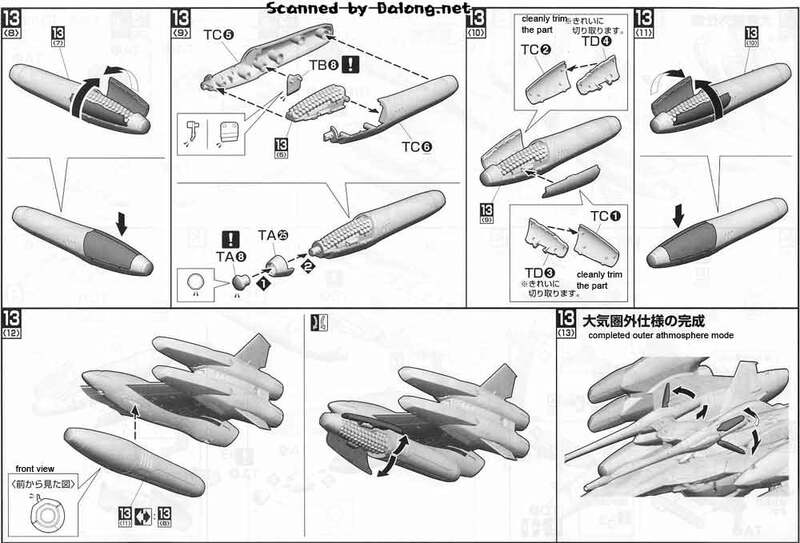 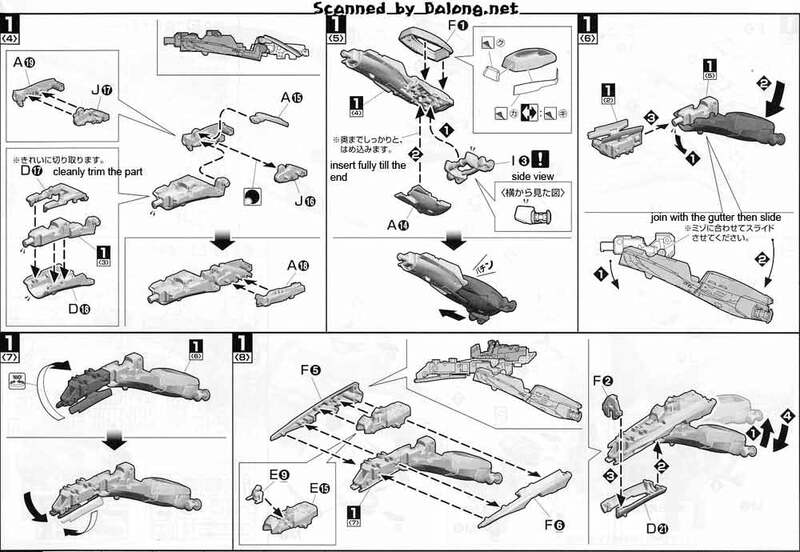 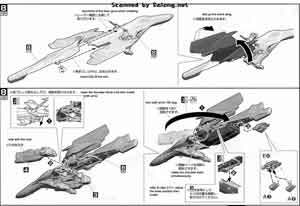 Construction Manual and Color Guide for the 1/72 VF-25F Tornado Messiah Valkyries was translated to English from the manual posted at Dalong's gunpla review site. 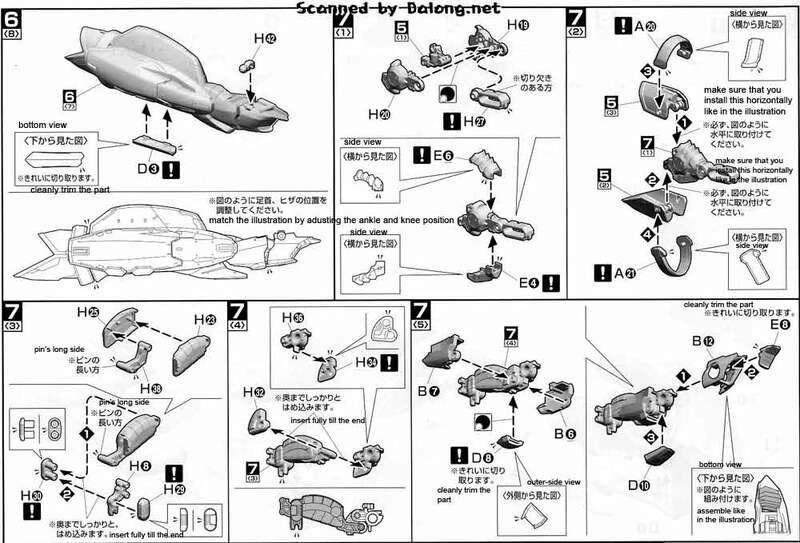 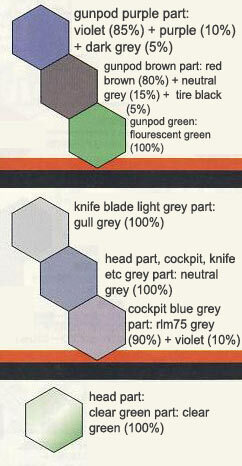 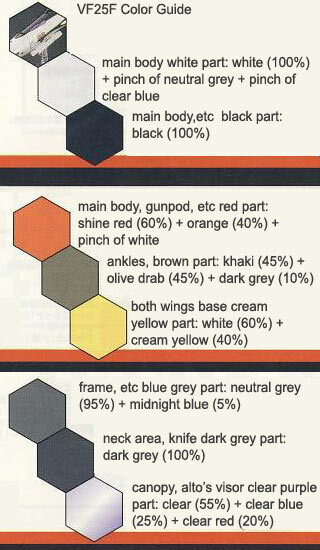 For the meaning of the symbols found in the construction manual, kindly refer to this older post.